Are zebras horses in striped pajamas? Not really. But did you know various breeds of zebras have different patterns of stripes? Or that zebras graze up to 22 hours every day? Or that you can help to bring back the quagga zebra after a century of extinction? 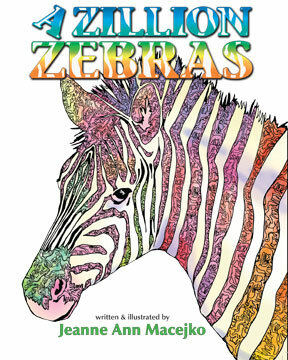 A Zillion Zebras is a springboard for curiosity and educational lessons about nature and wildlife. 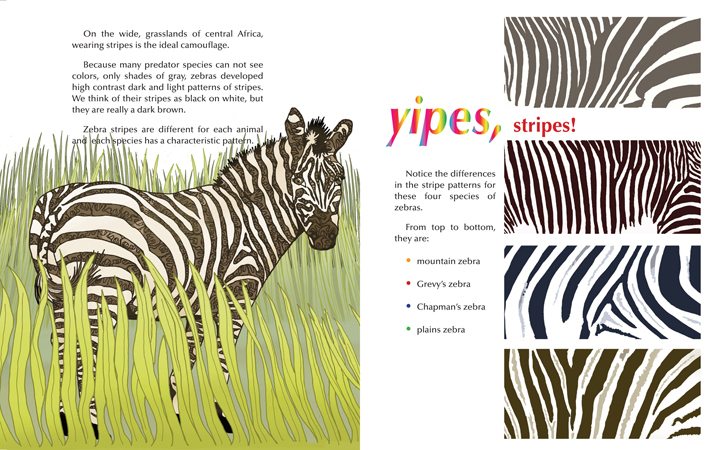 Learn things about zebra families, frenemies, history and habitat that you never knew. With illustrations as intriguing as the animals, the zebra drawings hide dozens of smaller, intertwined zebras within their stripes. A “color your own” version is also available. A portion of the proceeds from the sale of this book will be donated to the Quagga Project, a non-profit organization dedicated to reintroducing the extinct quagga to its native habitat. 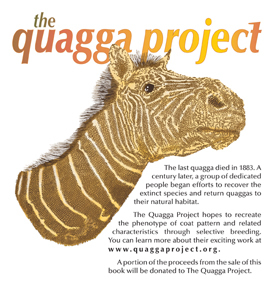 To learn more about the Quagga Project, use this link. 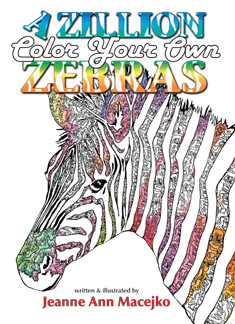 A “color your own” Zillion Zebras book is also available. If you like to color inside or outside the lines, each zebra illustration hides dozens of smaller, intertwined zebras within their stripes. 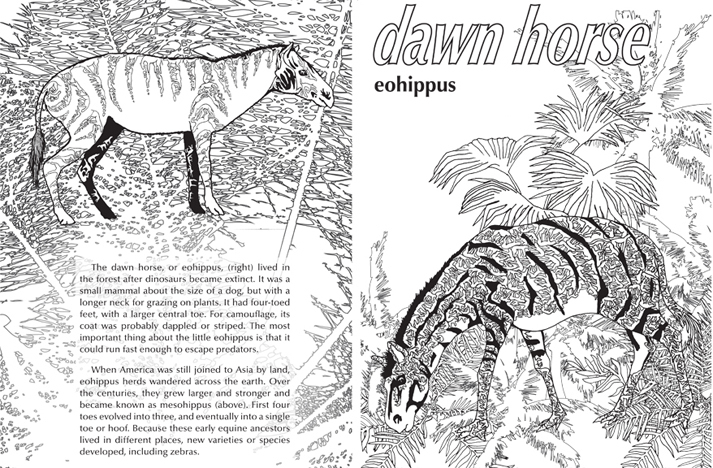 Sharpen your pencils and get ready to learn about these fascinating animals as you color. Free hand-outs for educators are available to accompany A Zillion Zebras in the classroom. 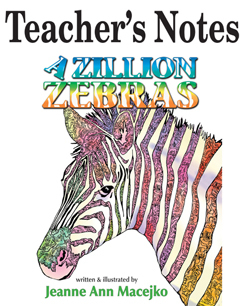 Use this link to download a free PDF for Teacher’s Notes for A Zillion Zebras. A Zillion Zebras has been formatted especially for your favorite e-book reader. Available through Amazon.